rachelbiesnutrition – Culinary adventures, lifestyle and everything in between! Culinary adventures, lifestyle and everything in between! This is my little site and hoping it feels fresh and delicious. My goal here is to combine my profession of Culinary and Wellness with my love of Lifestyle, Fashion, All things FOOD and travel. ALSO cheeseburgers. Navigate our rbn #recipes, #biteme features, travel series; #rbntravels + all our co/labs and media roles! Thanks for stopping in and let us know what you think! Follow our culinary + lifestyle adventures on Instagram @thehealthybies! Go to blog tab for ours and 11 other spring salads to get your inspo! 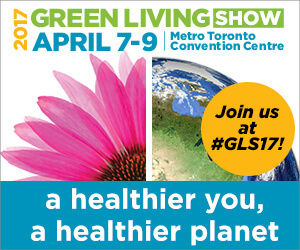 Join us April 7-9th at Metro Toronto Convention Centre for all things Green Living! One of our favourite new Ossington haunt is La Banane - A stylish, brass-accented eatery with a raw bar serving inventive, French-influenced cuisine. We've been a few times and WE cannot stop. Order: Duck, mussels, crab well EVERYTHING really. Rachel Bies' (Nutrition) passion and LOVE for all things Culinary, Teaching, Media, Development & Consulting stems on a Local, National and Worldwide globe. Email us for business & collaboration inquiries!